Dish & Spoon had the most creative and well-thought vegan breakfast I have ever tried. Admitted, I do not always go for vegan breakfasts; but I could not go past this on the menu. It had all the food groups, was beautifully presented and had a variety of flavours. 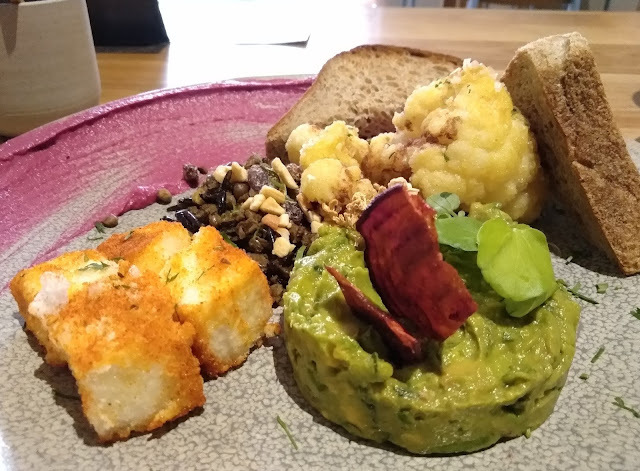 The vegan breakfast is plated with a swoosh of beetroot hummus; crispy squares of medium tofu which have been battered, deep fried like tempura and then doused with paprika; a lentil and black rice combo in a Middle Eastern style with sultanas and nuts; lightly battered and fried cauliflower which was pre-cooked to be soft inside and crispy on the battered florets; smashed, ripe avocado with lemon and little chunks of apple for an extra sweetness; and bread with a smooth texture but grainy flavour. Think that last sentence was a mouthful? Just wait until you eat it. Add to this, delicious coffee, complimentary sparkling water and stylish but calming design; and you’ve got brunch sorted. 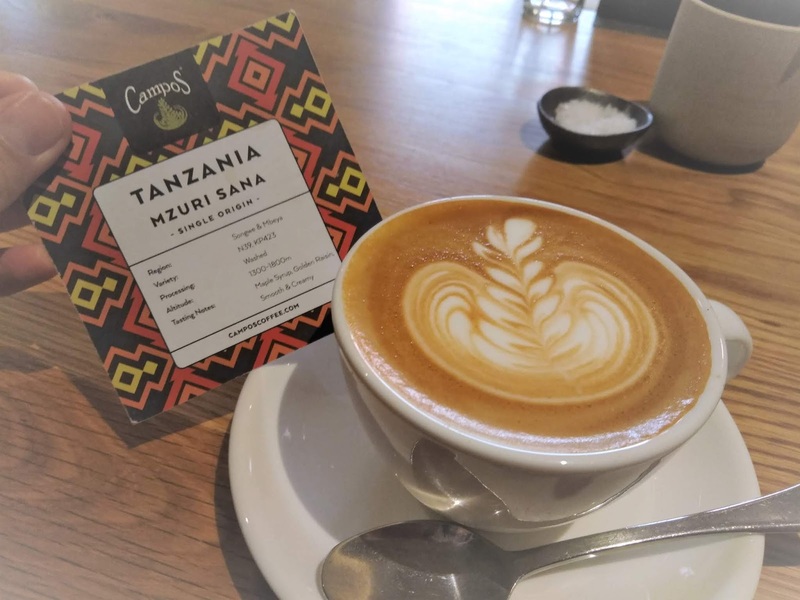 I tried the Tanzania single origin coffee as a flat white. It was sublime: fruity at the top, but then creamy, malty, strong but smooth. Amazing coffee, this tasted so good! Vegan breakfast at its best.